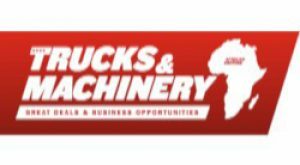 Trucks & Machinery a magazine that brings European offers on the market in Africa and Middle East. Contains sales advertisements on the field of agricultural machinery and equipment, industrial machinery, trucks and trailers, delivery trucks, parts and tools from Europe. Magazine is distributed in 5 000 – 10 000 copies at the biggest fairs in Africa.